For more information about St. Paul’s Episcopal Church in Baltimore, please visit our official website here. 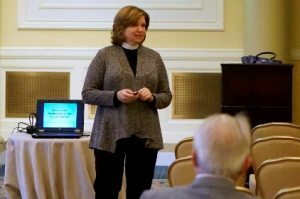 There are two primary authors and managers to Living Our Faith, but we also occasionally request and allow guest posts from selected speakers at our Old St. Paul’s Sunday Forums, members of Old St. Paul’s, and other clergy. The Rev. 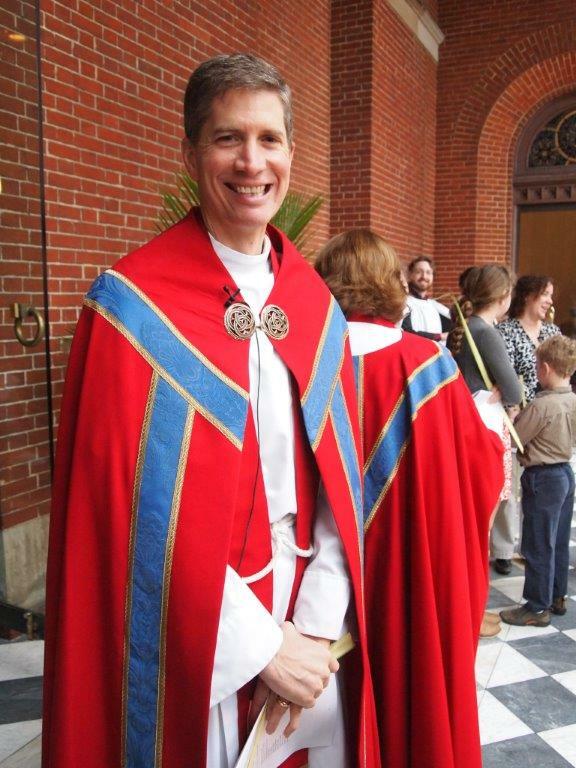 Mark Stanley loves being a parish priest and he has been honored to be the Rector of Old St. Paul’s Church since 2004. Mark is a lifelong Episcopalian who was born in Evanston, Illinois. He graduated from The University of Texas in Austin as a Philosophy Major in 1986. He went to seminary at The Church Divinity School of the Pacific in Berkeley, California and was ordained transitional deacon in 1990 and then priest in 1991. Before coming to Baltimore, Mark served as the Rector of Christ Church in Sausalito, California. He enjoys serving on the Boards of St. Paul’s School and Saint Paul’s School for Girls in Brooklandville. He is married to The Rev. Mary Luck Stanley and they have two teenage children, Hannah and Jack. Mark enjoys running, the Ravens, watching movies and playing with his dog, Dash.